Large 6.3m wide reception counter and 2 visitor counters. LED lighting (cold white) on the front panels. 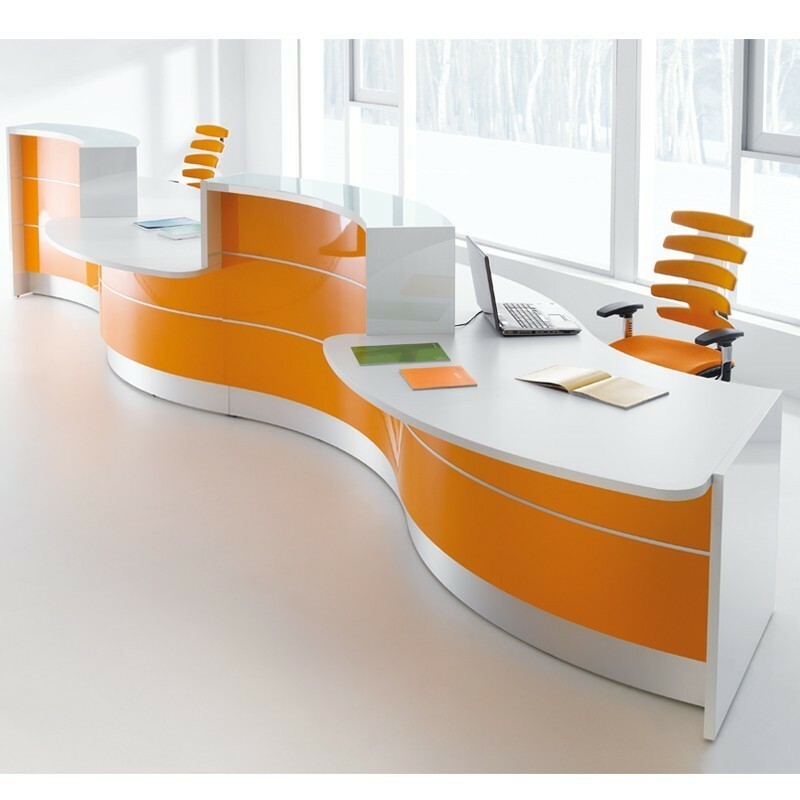 The Interact reception counters feature a soft curving counter with a triple lane style. Large reception unit includes 2 wheelchair accessible visitor counters, a kickplate and LED lighting on the front panel (cold white). Storage sold seperately.